Redesigning the way we use mobile applications for weight loss and recipes. The inspiration for this project was to build the infrastructure for an Android application for a small business called Achieve! Weight Loss. The system they have teaches people about different combinations of food and how to combine them for sustainable weight loss. The owner of the corporation mentioned that he wanted to build a mobile application, and since one corporation had a prize for an app for a small business, we decided to go build a real-world application for him. At a fundamental level, our system operates as a recipe book for those who are members of Achieve. However, our application's capabilities does not stop there. Our app provides users the ability to go beyond what the recipe gives by giving a detailed look at the components of the recipe itself. They can use this information to create their own recipes from the knowledge the application provides. 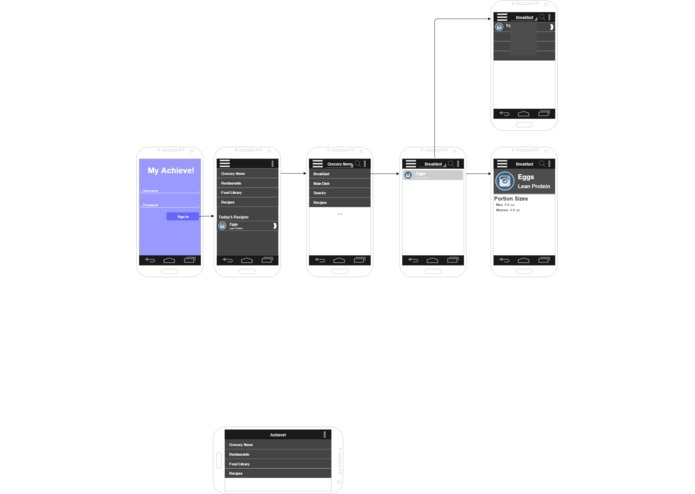 The application was built for Android using Firebase for the back-end. First, the database was built with the owner of the corporation to provide a better understanding of the data flow on the back-end of the system. 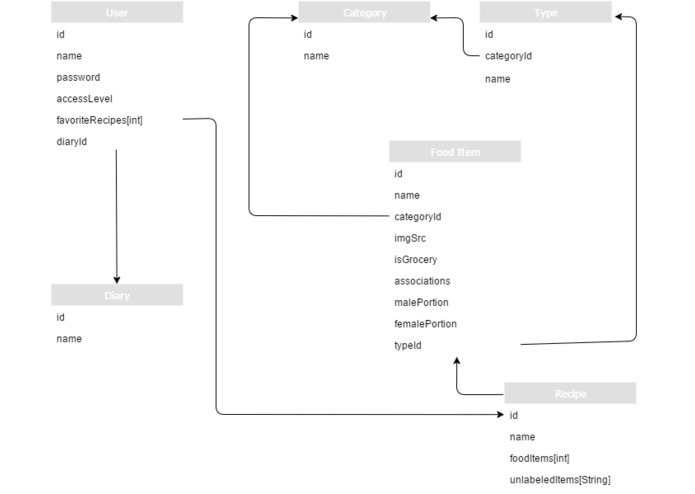 We started with a few bare-bone diagrams for the database and matching front-end designs. From there, we worked carefully, but speedily to meet our deadline. Achieve Mobile App will be hitting the market hopefully within the next couple of months. Obviously, 36 hours is not long enough to design and perfectly complete a production application, so time will be spent refining the application to meet the standards of a quality Android application.